The Nature Conservancy is investing $3 million to help unite a coalition behind a winning statewide climate policy — via the Legislature or a ballot initiative. ASH is falling from the sky across Washington, in the Columbia Gorge and the Cascades, across grasslands and fields in Eastern Washington and throughout Puget Sound. The smell of smoke and the sight of our hazy skies serve as a compelling wake-up call to take action to protect people and the natural resources we rely on for our prosperity and quality of life. Our news is filled with images of people fighting to protect themselves, their loved ones and their communities from natural disasters. Our hearts go out to first responders, families and communities experiencing fear and destruction from devastating hurricanes to catastrophic wildfires. 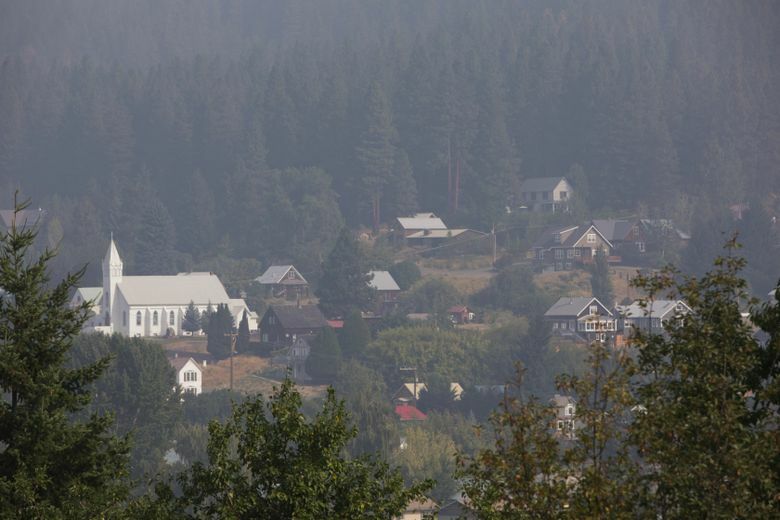 Close to home, The Nature Conservancy team in Cle Elum and Rosyln is working with firefighters, local partners and neighbors to protect land and communities against the Jolly Mountain fire, even as they face the likelihood of evacuation from their homes. We can’t control the weather, and we can’t know exactly what role climate change plays in any given event. But in the face of climate change and other disruptions impacting people, cultures, communities, businesses, rivers, coastal waters, forests, the urban environment, our food supply and more, we can work together to build resilience, and a safer and better future. 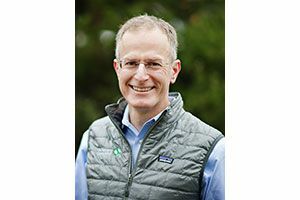 Mike Stevens is the Washington state director for The Nature Conservancy. The unusual conditions we are now living with are a call to action and leadership. Our state has the opportunity to model for the nation and the world innovative adaptation along with a transition to cleaner energy, including an inclusive and well-reasoned plan to limit carbon. We can’t rely on action at the federal level. But what we do here can have a tremendous impact on our nation’s — and our world’s — approach to tackling climate change. We can idly watch in fear as the climate changes, or we can act now to shape a vibrant future. Washingtonians have a long history of making investments that protect both people and nature. For example, we came together to take radical action to clean up Lake Washington in the 1960s. To succeed, dozens of cities changed how they dealt with sewage and other forms of waste, and citizens agreed to tax themselves as an investment in a cleaner future. Now we must be equally bold and determined to ensure our state evolves and thrives in the face of a changing climate. Innovative on-the-ground actions are already working to protect communities, farms, business and natural resources. A science-based approach to restoring floodplains is allowing agricultural valleys to handle more water with less flooding. Our state’s leading corporations are making significant investments in lower carbon technology and committing to eliminating their own carbon output. Intensive forest restoration is diminishing the risk of catastrophic fire. New mapping tools and technologies are enabling communities in the Puget Sound and Southwest Washington regions to predict the threat of rising seas. Green infrastructure is helping our rapidly growing cities capture and clean water. Farmers, tribes, and local governments are working together to ensure we’ll have local salmon and local food into the future. We must now do more. The impacts of climate change require us to take control of our future by accelerating the transition away from fossil fuels to a clean-energy economy. To achieve this, The Nature Conservancy is investing $3 million to help chart a viable path forward: helping unite a coalition behind a winning statewide climate policy — via the Legislature or a ballot initiative — that puts a price on carbon in order to reduce carbon emissions, support clean energy, help industries in transition, and generate revenue which can be used to reduce the fire risk, flooding and drought. We cannot afford to be fractured. To win, we must come together behind a policy that works for all of Washington — tribes, diverse urban communities, farmers, industries and others that are already feeling impacts from climate change. Our joint work today to build support for game-changing policies will help us be resilient in the face of ongoing change and disruption. As we work to engage the full diversity of voices in this urgent dialogue, all of us have a role to play. Speak up. With your employer, with your church, with your elected official, and with your friends and neighbors. Stand up in support of bold climate action.